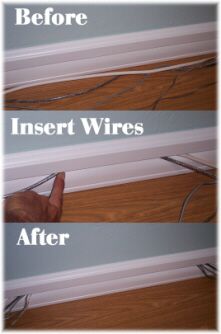 Hideaway Trim Baseboard Moulding that hides WIRES! 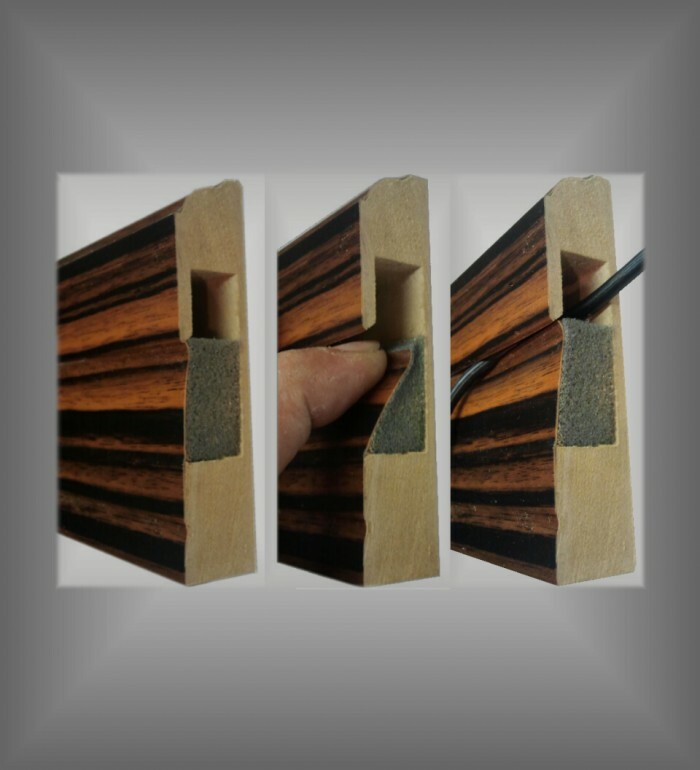 Hideaway Trim is a unique baseboard that has the ability to easily hide wires inside. The wires can go in anywhere and come out anywhere in the room. There is also a design for crouwn moulding for surround sound speakers. 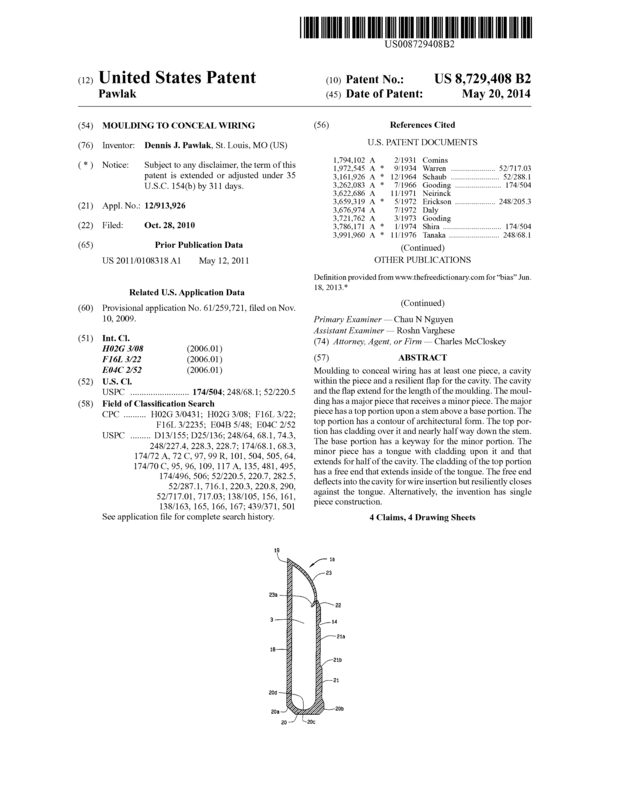 Page created at 2019-04-25 4:13:02, Patent Auction Time.